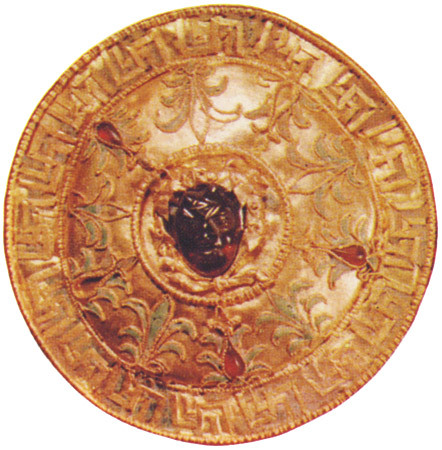 Garnet in the gold medallion decorated with enamel and garnets. East Mediterranean. Late 4th century BCE. © 1994 Photo, text: O. Neverov, Antichnye kamei, “Iskusstvo-SPB”, SPb, 1994. S. 24—25, cat. 1.